Several thousand pensioners in Argentina will lose part of their benefits for having failed to sign on to a new pension scheme. Pensioners had until August 31 to sign on to the ANSES social security bureau's so-called "historic reparation" programme, which seeks to correct the insufficiencies of previous calculations of the pension resulting from Argentina's historic economic fluctuation. 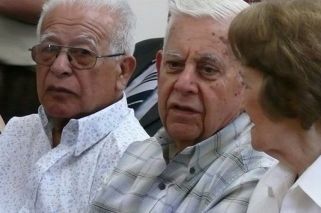 Around 140,000 pensionar are believed to be affected by the cuts, after they failed to agree to a new set of terms, either by appearing at an ANSES office or operating through a lawyer. The bureau had offered free legal services. Otherwise, recipients of the pension were required to advise ANSES of their inability to move, of serious illnesses or if they are over 90 years old. Pensioners can still sign up to the new scheme but will not receive back payments, ANSES reported.